The main purpose for installing weather seals is to enhance garage insulation, keep dirt and rodents out of the garage, and ensure indoor temperatures are not lost through gaps. Door weather seals won't only close the smallest crack between the door and the jamb or between the door and the floor but will also protect the garage door. They act as a cushion that protects the material. There are variations among materials and styles. Weather seals are placed at all four sides of the door, although the bottom seals are replaced more often since they are damaged faster. They are usually made of soft rubber or vinyl materials but also harder ones. They can be attached straight to the door with adhesives and nails or they can be inserted to the already installed retainers, which are usually made of aluminum. These ones are easier to be replaced. 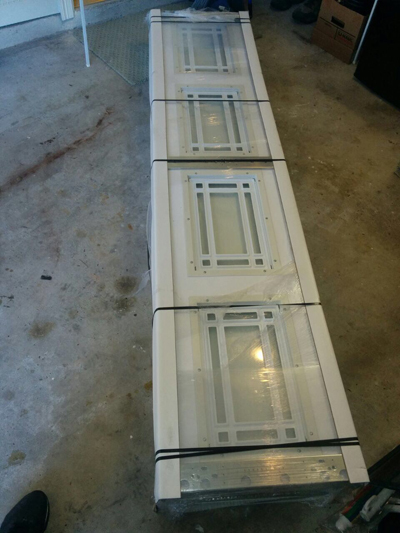 In any case, door weather seals are extremely important since they close all gaps and they are equally significant for garage door windows for better insulation.